Why Mae Taeng District is special ? Mae Taeng district is located in the north area of Chiang Mai. In 1892, Khwaeng Mueang Kuet was created, and renamed in 1894 to Khwaeng Mueang Kaen. In 1907 it was upgraded to a district (amphoe) named San Maha Phon, and renamed Mae Tang in 1939. Mae Tang is one of best trekking site in northern Thailand, with rich forest and beautiful natural. Travel to the North along the most scenic routes to Mae Taeng District to get away from many tourist spots which is the best choice you made. What to explore at Mae Taeng District? A popular gateway to Mae Hong Son. When leaving Chiang Mai by this route. Ones can visit Mok Fa Waterfall as high as its name, then drop at Pong Duad Pa Pae before reachinging Huay Nam Dang National Park, which is in between Chiang Mai and Mae Hong Son. It is the quite route in the lush green jungle. Located in Mae Taeng but under the care of Huay Nam Dang National Park. The geyser here will spurt up as high as 5 meters every half a second with the surface temperature of about 95 degree Celcius. For those who like to have a mineral water water bath, there are bathrooms to serve. For a healthy skin, it is worth a try. 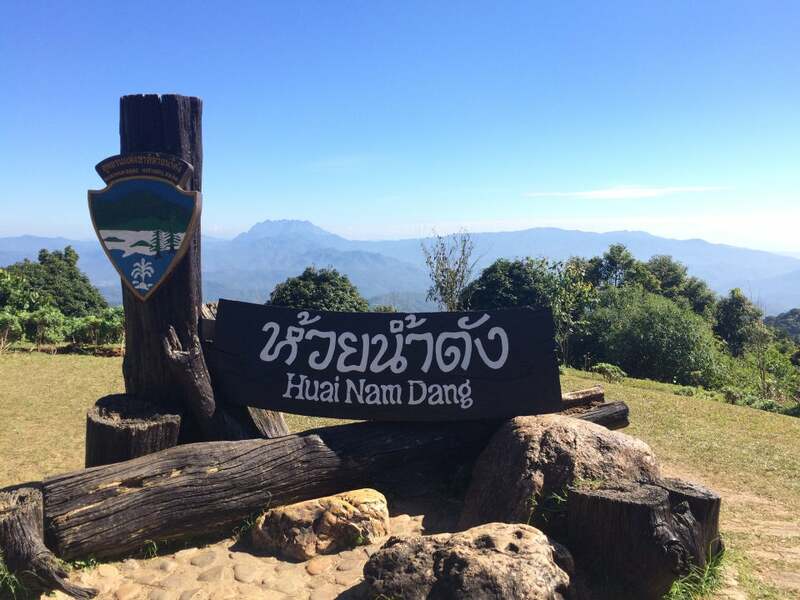 The Headquarter of Huay Nam Dang National Park located on the joint of Chiang Mai’s and Mae Hong Son’s border. Most of the tourists who go to Mae Hong Son from Chiang Mai and pass by Mae Taeng District and Mae Malai District, often drop by Huay Nam Dang National Park before they enter Pai District in Mae Hong Son province. Some groups of tourist are happy with the ambience and stay overnight here, as the sea of flying mist in the morning is magnificent. Maetang elephant park is situated in the beautiful maetaman valley, about 50 kilometers north of Chiangmai and is home to over 40 elephants. Witness the splendor of these majestic animals as the herd wallows and frolics in the brown waters of the Maetang River and marvel at their size as they emerge dripping and refreshed, just inches away from you. Touch them, smell them, feel in their power and talk to them. Then please select one who you like the most and give him/her a banana, he will be your friend forever. How to get to Mae Taeng District? 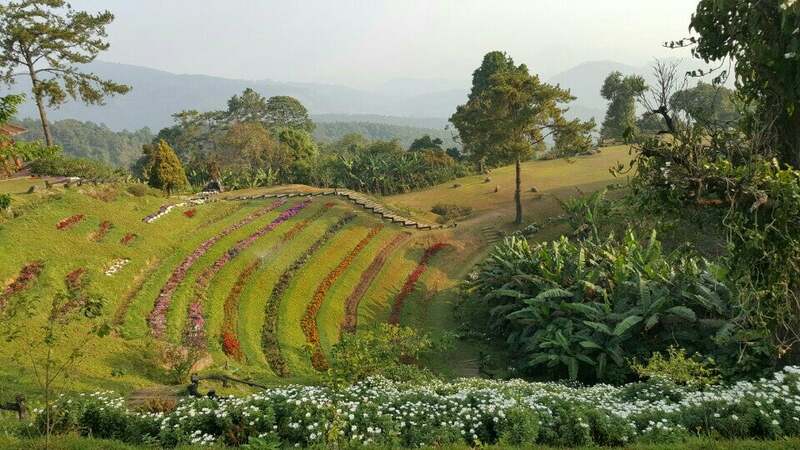 Mae Taeng is more than 1 hour driving from Chiang Mai. The best way to get to Mae Taeng is get a tuktuk or songthaew. Don't miss the Doi Chang Viewpoint, is located 20 kilometers beyond the Huai Nam Dang Viewpoint and is only accessible by four-wheel drive vehicle. Camping is possible provided that you bring your own tents and food.